One good red deserves another. 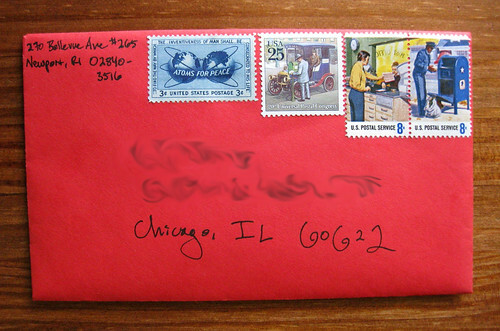 In response to the letter I featured in yesterday's Raise the red lantern blog post, I wrote on vintage Hallmark Muppet stationery, which includes these bright red envelopes. 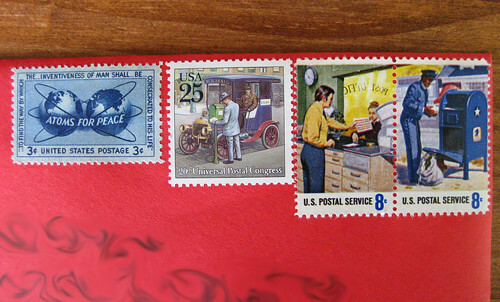 I love the Universal Postal Congress old mail truck image, and I adore the 70s-feel U.S. 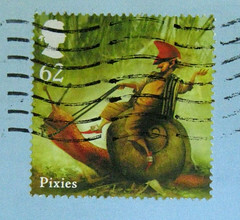 Postal Service stamps with their pictures of mail on its journey, but how can you beat the atoms for peace stamp?